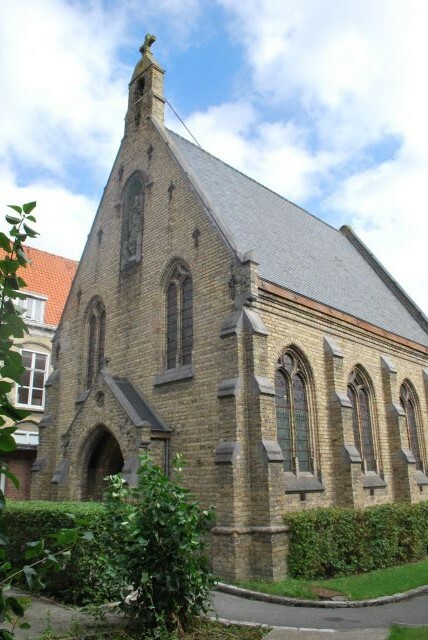 Dating from the late 19th century, this Gothic Revival style, brick-built chapel was built by the Black Sisters of Veurne (Belgium). These sisters managed a hospital converted into a retirement home, then into accomodation. A turret equipped with a bell and a cross crowns the top of the front facade. The chapel, covered with an ogival wooden vault, is illuminated by stained glass windows that notably represent King David, Saint Cecilia and Saint Barbara.